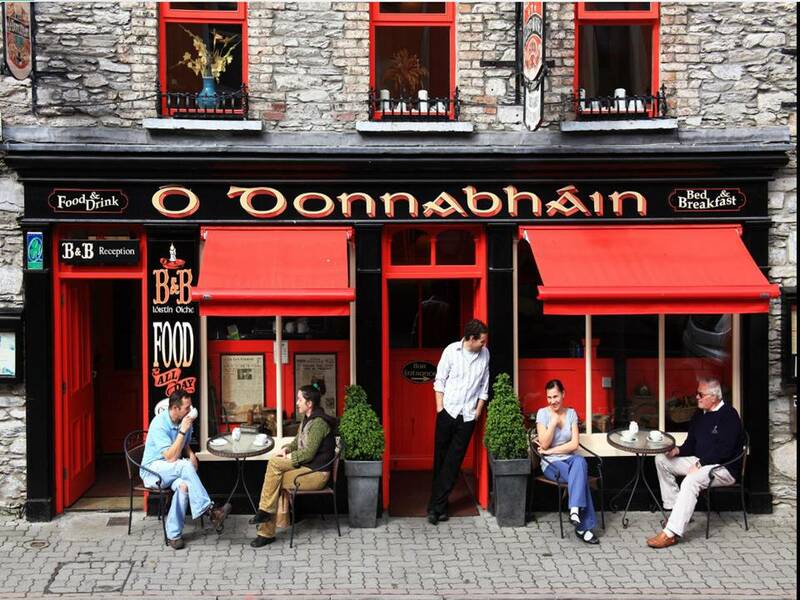 At O’Donnabhain’s Bar, Restaurant and Guesthouse / Bed and Breakfast we provide you with a memorable experience of food, drink and accommodation. We are located in the hidden gem of Ireland that is Kenmare, Co. Kerry. With an 83% rating on Tripadvisor, we are the perfect place to drop off for a drink, a meal, to listen to some local music, or to stay for the night in one of our modern en suite rooms. O’Donnabhain’s Gastro Bar with its open fire, exposed ceilings and wooden finish provides a fabulous contemporary setting with all the character of an old Irish pub. Drop in, meet the locals, make some new friends and soak up some of the great atmosphere and music. As well as being a Traditional Pub we are also a Restaurant. We have a sheltered Beer Garden able to provide dining for everyone from couples up to large groups (max. 100 people). Whether it is a pre/post wedding party, family get together, or just time out from the day’s excursions, my wife Vanessa and I will take great pleasure in hosting you. As we say ‘God made food for everyone’. Thanks to a major expansion project, O’Donnabhain’s can now offer guest accommodation in any one of our fifteen en-suite rooms. While we are excellently situated right in the heart of Kenmare, our modern rooms are located away from the street and bar area to ensure that you have an uninterrupted and very pleasant nights sleep. We provide full guest facilities that include a breakfast room, guest lounge with Wi-Fi and off street guest parking. Our accommodation provides excellent value for money and has been rated a 3 Star Guesthouse by the Irish Tourist Board. You are most welcome to come and experience the fine Irish hospitality that my family and I have been proudly serving to visitors, holiday makers and locals alike for three generations. We very much look forward to meeting you and we hope you enjoy our website.